The good news: Great Britain won the first Baseball World Cup. The bad: That was all the way back in 1938. To be polite, it has been a long 76 years since the matter. Great Britain baseball, currently ranked twenty-fourth in the IBAF world rankings, has been struggling ever since the start of World War II. In fact, they had not qualified for a world championship tournament until the 2009 season, where they fell short, being eliminated in group play of the World Cup that year. Their latest national apperence took place in September of 2012, where they attempted to qualify for the most recent World Baseball Classic. Once again, The Queen's team fell short. Great Britain succumbed to Canada, in a qualifying round, additionally consisting of Germany and the Czech Republic. Maybe, just maybe, they should stick to soccer. Time heals all, except for low batting averages and high ERA's. Hopes and dreams are what this world is built on; reaching and achieving those are a completely different story. The short of it is that there are not any notable MLB players from Great Britain, but only a few in the minor leagues. There is Chris Reed, a pitcher, of the Chatanooga Lookouts in the Dodgers system. Additonally, there is Estevenson Encarnacion of the Brewers organization, who also happens to be a pitcher. The bright side is that they have a remarkably beautiful on-field cap. 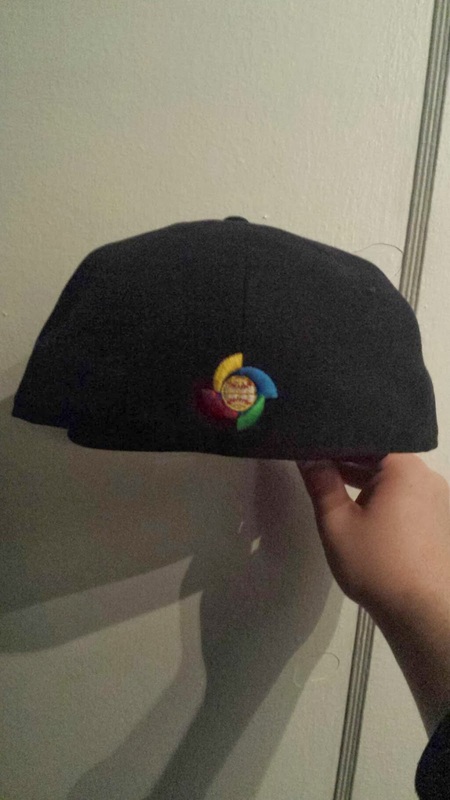 As you can see above, the cap has both a navy blue brim and crown. 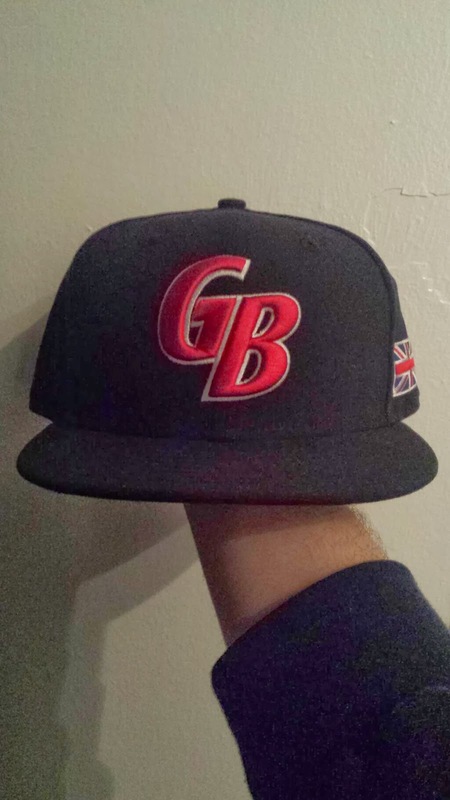 On the front is a sleek dual-leveled "GB" representing Great Britain. 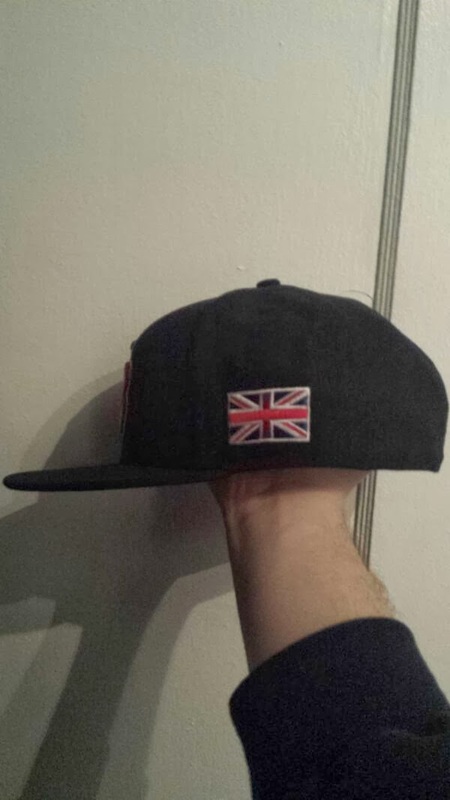 On the side is the flag associated with the United Kingdom. Finally on the back is the World Baseball Classic logo. Tough times are certainly ahead for this national team. That being said, anything can happen. Time will certainly tell as we look forward to the next WBC tournament, which will be held in 2017. Four years is a long time. Maybe they can get something going. If you have any questions on where to get this cap or others on this blog, feel free to leave a message in the comment section.